Wondering about installing a solar system? I’ve interviewed local homeowners to learn how and why they decided to go solar, how much it really cost and how much they are saving. How does it feel to be free of electric bills and rate hikes and join others to build a greener future? 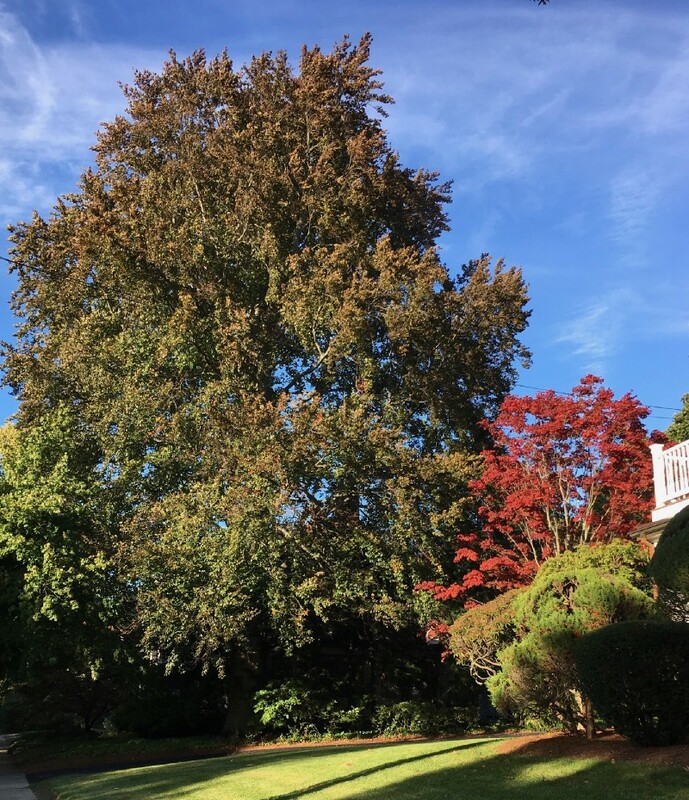 Elaine Landes and David Felson live in Newton with large old copper beech trees in the front and backyard. Is our home right for solar panels? So, when their son Gabe, encouraged them to consider installing a solar system, Elaine contacted Solar City, a large California based company now owned by Tesla. 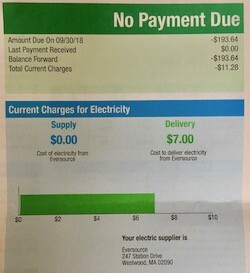 First Solar City reviewed their electric bills to see how much energy the household used. Next, they used satellite imagery to evaluate the roof size, direction and unique roof characteristics. Elaine and David were impressed with the proposal. Also, Solar City explained three financing options: 1) Buy the panels outright. 2) Lease the panels at no cost for the installation and paying Solar City for the power at a reduced rate. 3) Finance the system with a loan from Solar City at a favorable rate. When they agreed to continue, a Solar City engineer came to do an on-site evaluation and measurements. They learned that they didn’t have enough sunny roof area. Solar panels would provide less than 50% of the energy they needed. There were too many tall trees. Then they considered putting panels on the garage but it wouldn’t work because of shade and structural issues. 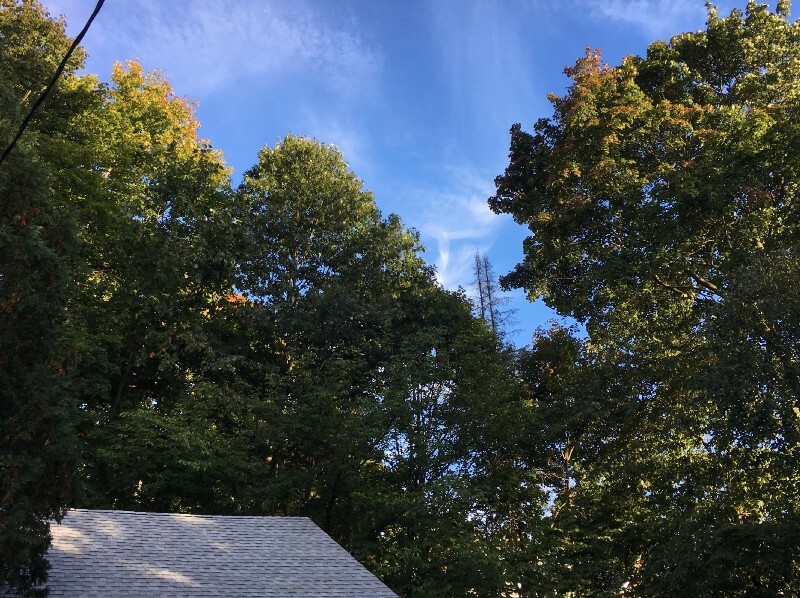 Google Project Sunroof can provide a quick evaluation and rough estimate of the available square area of your roof and the approximate number of hours of useable sunlight per year. Green Newton advises requesting a free site visit from one of their Newton Goes Solar vetted suppliers to get a more personal determination of your home’s solar potential. 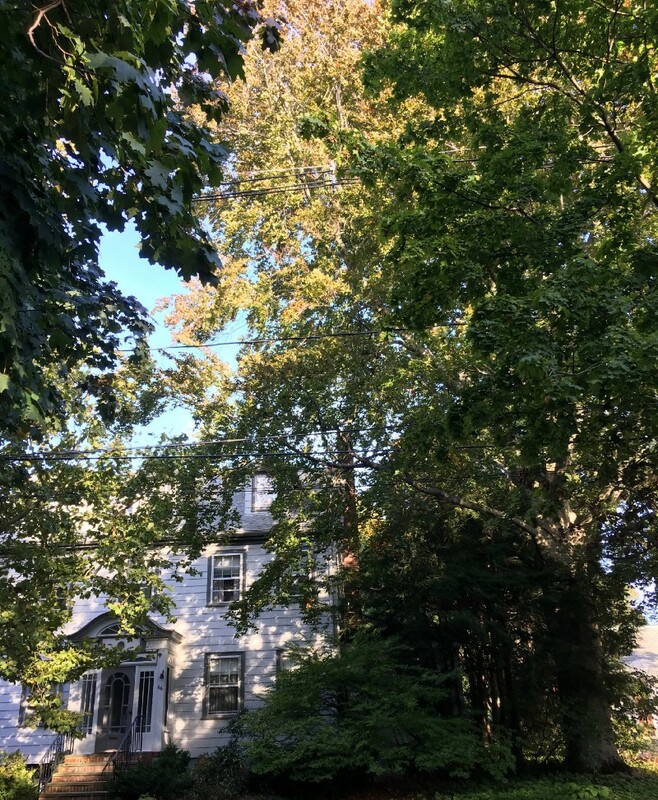 Would solar work on the Cape house? Elaine and David were very disappointed but undeterred. 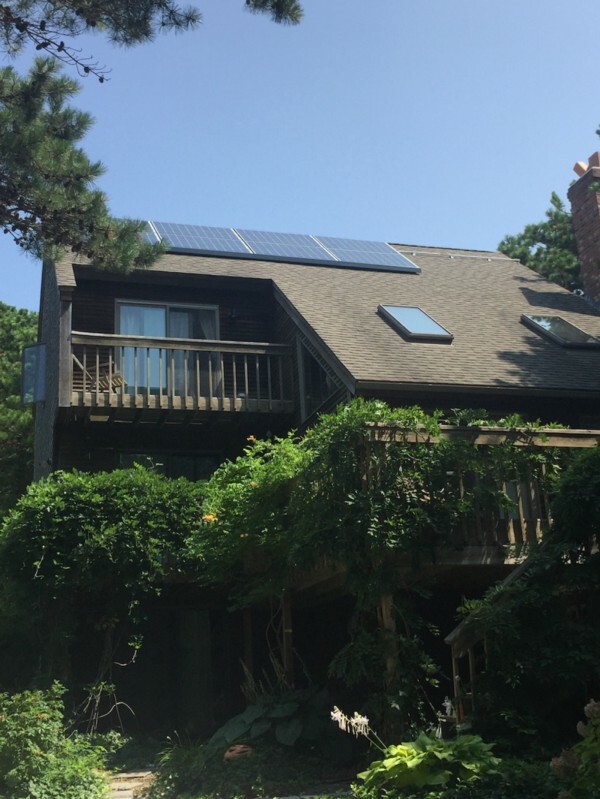 They wondered if their home in Wellfleet might be a good candidate for solar. They had been paying an average of about $550/year for lights, fans, a refrigerator, a well water pump, and washer and dryer. Solar City proposed a small system of eight panels to provide 110% of the electricity they needed. The roof had room for more solar panels. The could have installed more! 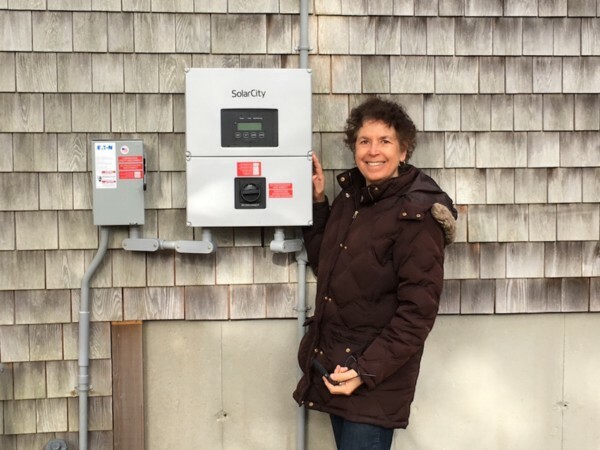 After the local inspection and Eversource installed a new meter, Elaine flipped the switch to tun on the system. The system cost approximately $7000. There were rebates from Solar City and a federal tax credit that brought the cost down to about $5000. They were not eligible for the state credit because it was not their primary residence but they will be saving more than $550 every year from now on. Green Newton supports the increased use of residential and commercial solar.